The shortlists to find the greatest gadgets on the planet for 2013 have been unveiled, with the T3 Awards now opening voting to the public. Future Publishing's T3 Gadget Awards 2013 recognises and honours the gadgets, software and personalities who have intrigued, inspired and wowed the world over the past 12 months. 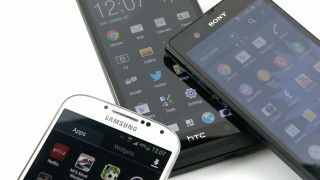 As always TechRadar is fascinated by the phone voting and the shortlist includes worthy nods for the HTC One (our own best phone in the world currently) the excellent Xperia Z, as well as the Samsung Galaxy S4 and, interestingly the Nokia Lumia 925 and BlackBerry Z10. In the headlining Gadget of the Year category, Sky's 2TB box, Sonos PlayBar and two cracking televisions from Sony and Samsung bring something of a home entertainment flavour to proceedings, competing alongside the top phones, the iPad Mini, GoPro HD Hero 3 and the Fitbit One. T3 Editor Luke Peters said "With a hand-picked panel of expert judges and T3's tech-savvy readers deciding the finalists, the T3 Gadget Awards truly recognise the greats in the technology world. "It's a fantastically varied shortlist with gaming and fitness products being stand-out trends. "I'm particularly excited about what the judges and readers deem the Tech Moment of the Year and am fascinated to see what gadget-packed motor wins Car of the Year. In short, this year's T3 Gadget Awards will be the most hotly contested we've ever seen." You can see the shortlists and cast your votes right here.